We recently had the pleasure of collaborating with the guys over at MANG. We were aware of what they did and what their company stood for, but when we met the guys at FLIBS (Fort Lauderdale International Boat Show) we could see and feel their passion about the restoration of mangroves. We instantly knew that these were the people and company we wanted to associate ourselves with. 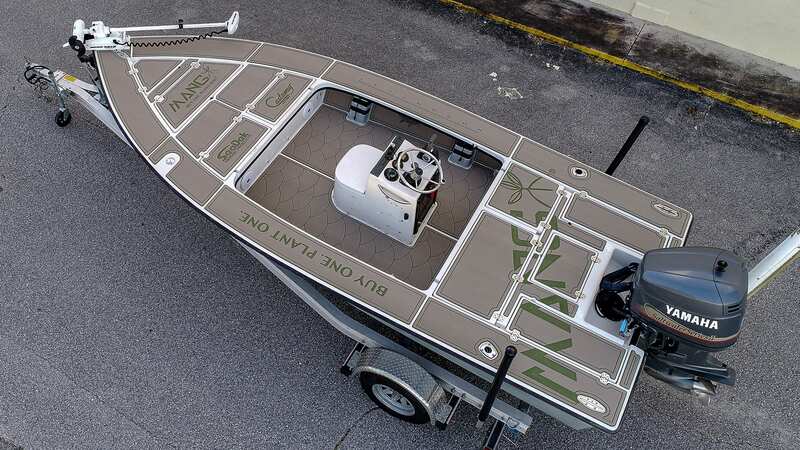 Their mangrove planting boat is an older Maverick Master Angler that was definitely in need of a facelift. After checking out their social media pages and website we were able to come up with the unique color combination of terra over olive that represents their company well. From there it was up to our in-house installer, Colton, to take the lead. 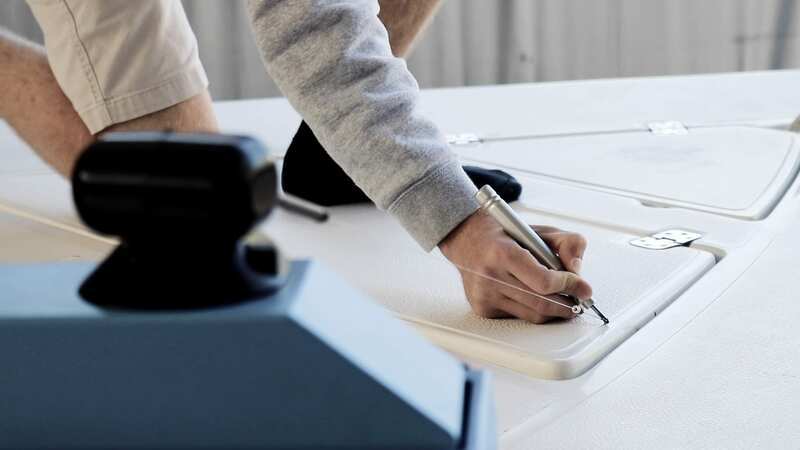 Our custom process almost always begins with the scan, Colton digitizes every square inch of the boat before taking it into CAD software (computer-aided design) and drawing it. 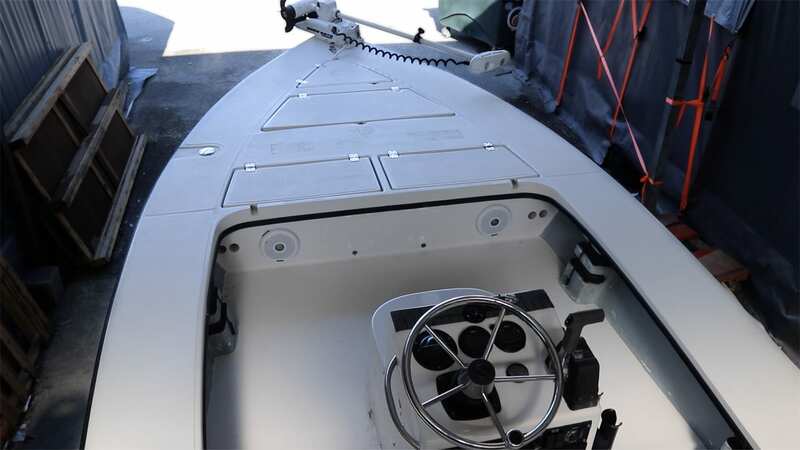 With the Master Angler digitized, he can now trace over the scans with perfect lines and add patterns, logos and anything else to the boat. 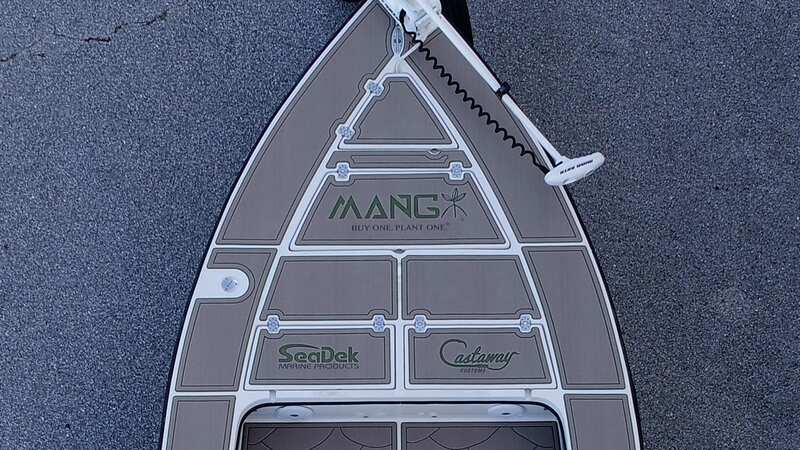 As far as the design goes, we threw in some smaller “MANG”, “SeaDek” & “Castaway Customs” logos on the bow. The port side got the MANG slogan, “Buy One. 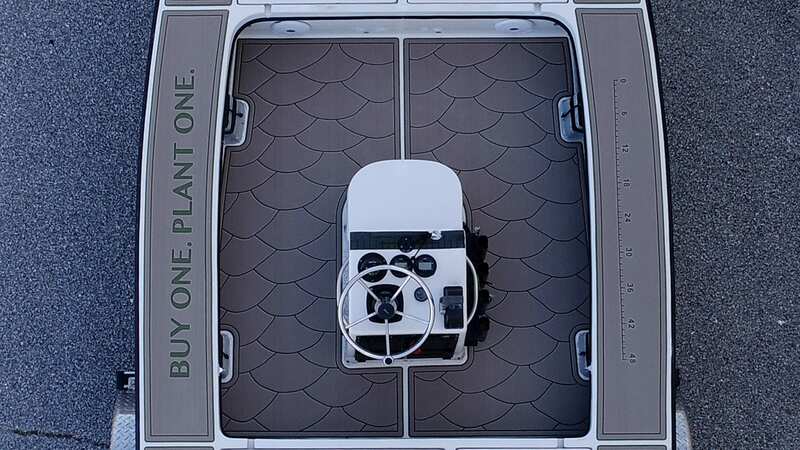 Plant One.” and a 48″ ruler on the starboard side to add balance. 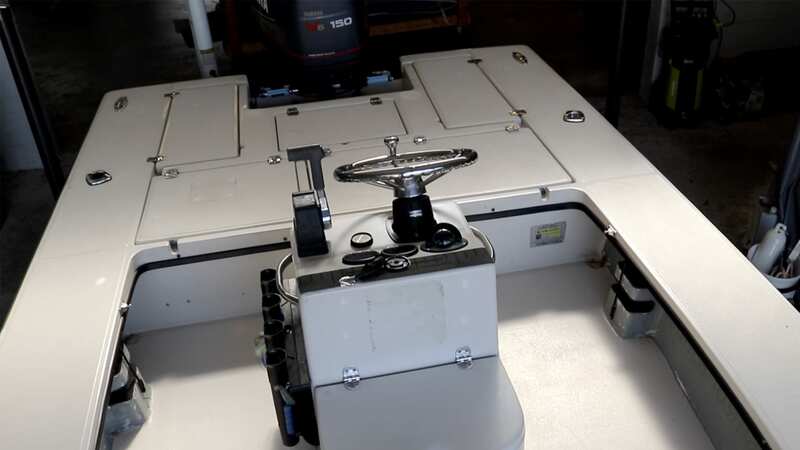 Being avid fishermen, our tarpon scale pattern on the cockpit floor was a must. The aft deck is where the design steals the show, a large, prominent “MANG” logo that can be seen from a great distance. 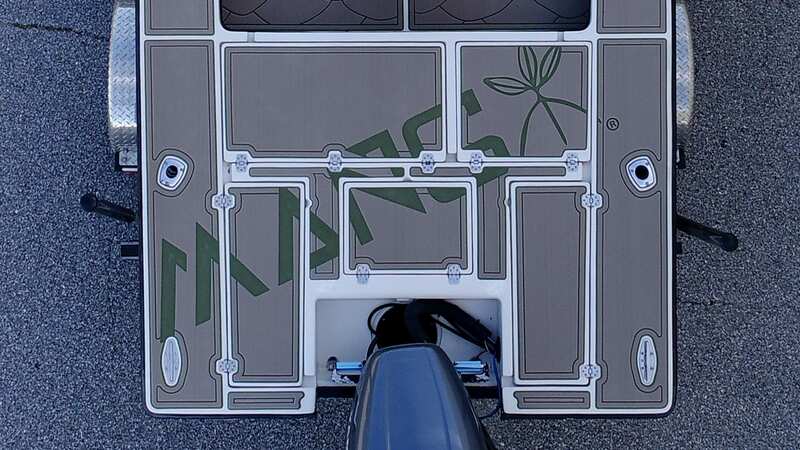 With the design approved we’re ready for the terra over olive to hit the table, then it’s on to installation. Colton cleans every surface to remove any residue, oils or debris which ensures a perfect surface for the 3M adhesive. Double and triple checking alignment, the finished project comes together piece-by-piece. We’re very pleased with the way this project turned out and we can’t wait to see it in action! Be sure to check out the MANG gear website and follow them on social media to support their “Buy One. Plant One.” initiative.